With ResurrXion now underway and Secret Empire being right around the corner, it comes as no surprise that certain Marvel titles are selling like hotcakes. 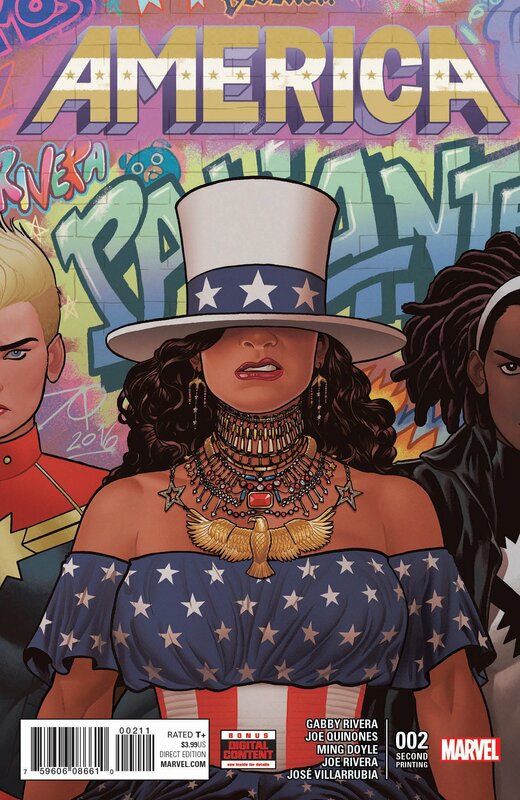 As such, recent key releases such as X-Men: Prime #1, Captain America: Steve Rogers #15 and America #2 are set to receive second printings sometime in May. First let’s talk a little about X-Men: Prime #1, a one-shot that brought together some of the top creators working on the current crop of titles focused on mutants that officially kicked off the bold new ResurrXion era. Quite frankly, this is the one that least surprises me when it comes to second printings to be discussed today. It’s no wonder that we gave it a five-star review, which you can check out here. 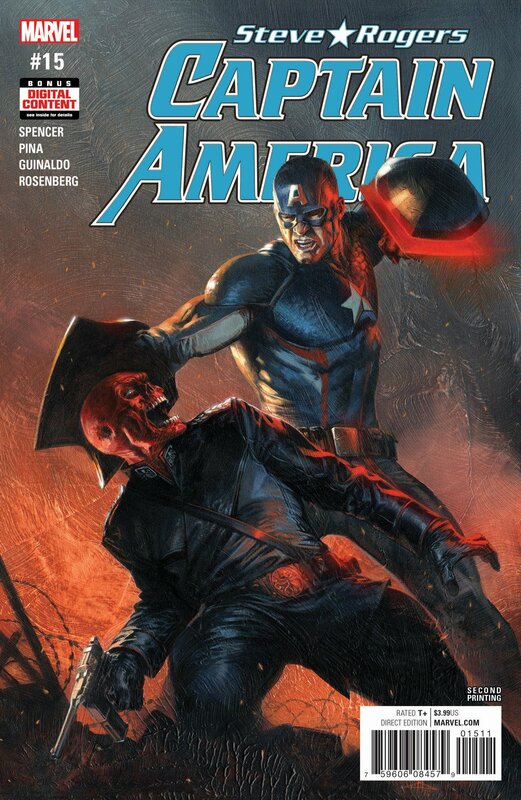 Moving on, it’s no big shocker that Captain America: Steve Rogers #15 receives similar treatment. Saying that this title has been a hot topic for discussion amongst the comic book community over the past year is a massive understatement. And no matter which side of the fence you’re on, you have to admit the sales figures have been in Marvel’s favor, especially with this particular issue leading into the aforementioned Secret Empire. The final component in this triumvirate is that of America #2, which aside from delivering a patriotic vibe that Steve Rogers may not be giving off as of late, greatly benefits from having two things going for it: One is that you have a new hero assuming this mantle and, put quite simply, the second is that it’s a new series. Seriously, most series are going to put up good numbers for at least the first few issues before taking the expected dip. Unless, of course, you stay where you’re at and/or become Diamond Top 10 material. 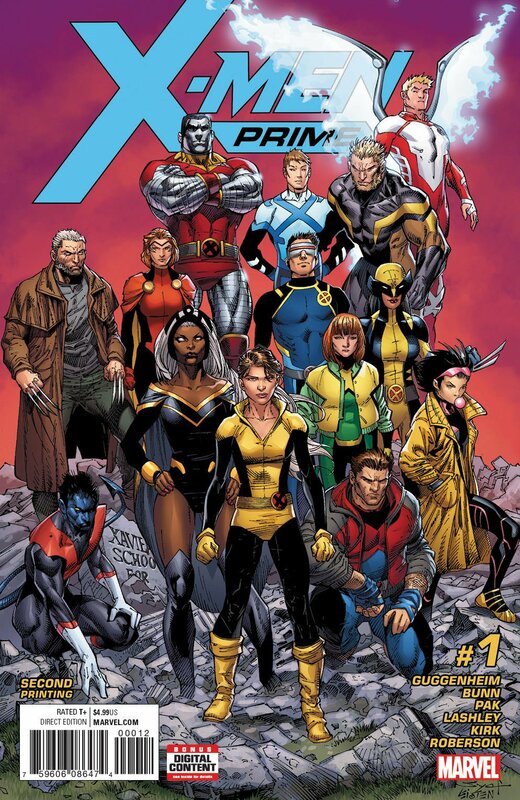 Tell us, were you fortunate enough to read any of these when they first hit shelves, X-Men: Prime or otherwise? Or will you be picking up any of these second helpings? Let us know in the usual place below!